There is a food movement in the United States today that has been growing, and really beginning to influencing many people’s food purchasing choices. The trend is towards choosing foods that have been naturally produced, and locally grown. This trend makes sense to me as a food producer because I understand that food just taste better in its natural state. I think every food purchaser wants to buy fresh good tasting food! Dairy is one of natures most natural and healthy food products. Think about it, milk is a combination of protein, fat, calcium, and a low calorie sweetener called lactose. Protein for building strong muscles, calcium for building strong bones, and fat to help with nutrient absorption. It’s strange to me why so many people get hung up on the fact that milk has fat in it. Natural milk (not reduced fat or skim milk) is only composed of 3.5% fat. Let me put it this way, milk is 96.5% fat free! So if milk is truly a natural food product, then why is fluid consumption still declining? Since fluid milk is such a healthy beneficial product, why aren’t people buying more milk? One thing that annoys me as a dairy producer is the fact that most the dairy substitute products ride off of milks healthy reputation. In the United States today, there have been many labeling deceptions by food manufacturing companies, and they are marketing their products fraudulently. 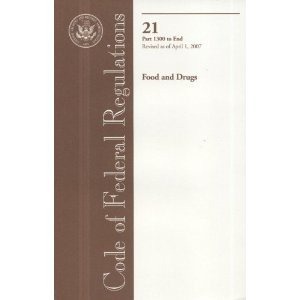 The Food and Drug Administration in the United States regulates food labeling practices and makes sure that businesses in the United States follow regulatory guidelines regarding labeling practices. Because food is such an important area of people’s lives, the FDA has strict guidelines in the Code of Federal Regulations to monitor food labeling and make sure the product is what the manufacturer is producing. In fact, every dairy product has its own standard or identity. The easiest way to explain this is to just show you what I’m talking about. …All ingredients used are safe and suitable. Yogurt, before the addition of bulky flavors, contains not less than 3.25 percent milkfat and not less than 8.25 percent milk solids not fat, and has a titratable acidity of not less than 0.9 percent, expressed as lactic acid. In other words, yogurt is a dairy product that must use the specified bacteria Lactobacillus bulgaricus and Streptococcus thermophilus, and have 3.25% milkfat and not less than 8.25% milk solids not fat (like protein and lactose). So a food manufacture, to label their product yogurt, would have to make sure there was the right amount of fat and solids in their product. If they cannot meet these guidelines specified by the FDA, they cannot call their product yogurt. This is why you see products called smoothies or yogurt beverage, because they didn’t meet the standards to be called yogurt. So if all food products have a standard of identity specified by federal law, then why do we still have food mislabeling going on? According to the FDA, “milk is the lacteal secretion obtained by milking one or more healthy cows.” My question is why haven’t the FDA gone after the mislabeling of food products hinging off of the health reputation that milk has. Like I mentioned before, the modern food movement puzzles me in the fact that milk and dairy haven’t gotten any significant boost in consumption from the new food trend. If milk is a healthy natural food source, why isn’t milk consumption exploding with a renewed vigor. In stores that promote natural foods, there are an array of dairy substitutes on the selves. I have had the experience of trying a wide range of “milk” products. I have tried hemp milk, soy milk, soy ice cream, soy yogurt, coconut yogurt, almond milk, and many more. Every time I try these products though, I come to the same conclusion – How do people eat these products! They really just don’t taste that great..
All these products have fraudulent labels using the words milk, yogurt, and ice cream. Many people shrug it off and think it isn’t a big deal, but it really is! The false labeling of these products is misleading and illegal. Some people do believe that these substitute products, with milk or yogurt in the name, really have the same nutritional components of milk or yogurt. I’ve talked with people who substituted real milk with soy milk. The sad part is that these people think they are getting the same nutrition. These alternative products don’t provide the same nutrition at all! A prime example is the coconut yogurt I tried. On the label it claims you’re getting the same amount of calcium that you would get with real dairy yogurt. When I finished eating the yogurt, you could see the calcium granules at the bottom of the container. Even though the manufacture added the calcium to make it equivalent to the calcium in real yogurt, you actually didn’t consume nearly the same amount. Furthermore your body probably didn’t absorb any of the calcium, and passed right through your system because it didn’t have any natural way to help absorb the calcium like real dairy products do. Another example is with soy milk. When you substitute soy milk with real milk, you’re sacrificing the protein, essential amino acids, beneficial fatty acid, calcium, and other nutritional components that real milk and dairy products provide. Many people don’t realize that soy beans in their natural unprocessed state are poisonous. In order to get rid of the toxic components of soy, you need extensive processing to make an acceptable food product. Even some of the components that are used in the soy manufacturing process are full of carcinogenic components. It’s a process that takes a poisonous product, and fabricates a food product that people can consume with relative safety. Soy is really an unnatural food, but is a product being touted as a “healthy alternative superior to real milk.” You can read more here about the negative effects of soy on human health. Milk is the most nutritious beverage in the world today, and food manufacturers know this fact. That’s why they food processors want to use the name of dairy products on their products because it puts a positive connotative health reference on their product. Soy juice doesn’t have the same ring and connotative positivity as soy milk. I hope that the good people at the FDA in charge of labeling oversight begin noticing the plague of false labeling that is in our marketplace today and begin to take action. It’s important because of consumer perceptions. People need to be able to make healthy food purchases, and not be mislead by false labeling claims that can misinform. I hope people participating in the changing food trend notice the importance of milk. Milk is naturally produced by the “foster mother of the human race” (dairy cows), and full of vitamins, and nutrients. So as a dairy producer providing milk, I hope people really do recognize that milk is a quality food product. Let’s eat only natural products like milk, yogurt, and cheese instead of these factory produced alternative “dairy” products. Hopefully with the new food trend, people will continue to find the quality in the product that milk is, drink more milk, and have a renewed widespread enthusiasm for milk and other dairy products. People are waking up the realization that what they eat directly affects their health. 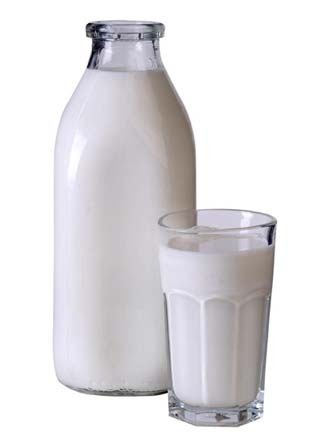 Raw milk is the purest most healthiest beverage an individual can consume. However, what about all the people who are lactose intolerant? You didn’t mention anything about that. Oh, and anything OK’d by the FDA should not be considered healthy or be used as a guideline for making healthy choices. The FDA should be abolished. You want to talk about deception, just research the FDA. I want you to write a paper on the FDA and Monsanto relationship. I challenge you! The focus on dairy fat content is just the same here in Australia. Milk has about the same fat content as bread but I haven’t seen anyone talking about low-fat bread! Puzzling! @Dairymilkmaid, exactly thanks for the comment! People just assume that fat is bad for you, but nature designed milk to have a small amount of fat in it. But it really isn’t that much when you look at other products in the grocery store. Soda pop doesn’t have much fat in it, but how much fat can you gain drinking it? Answer -> A lot more than you think.